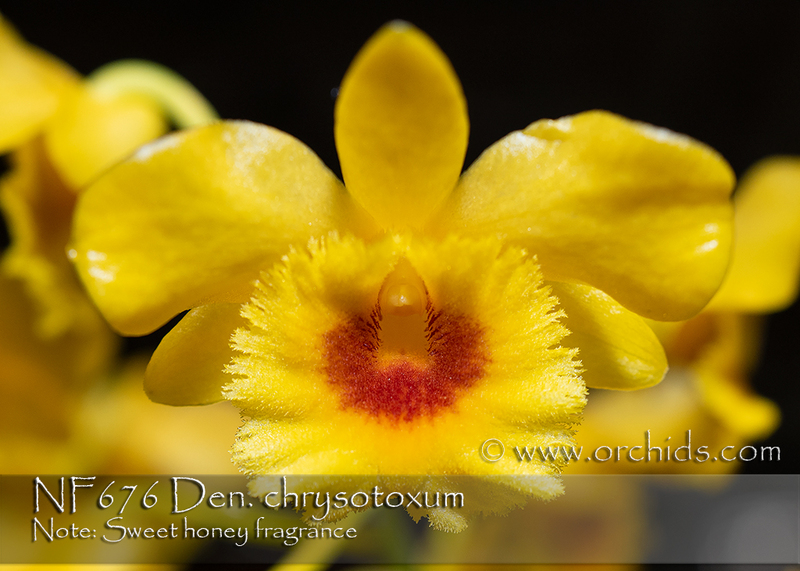 Delightful sweet honey fragrance! 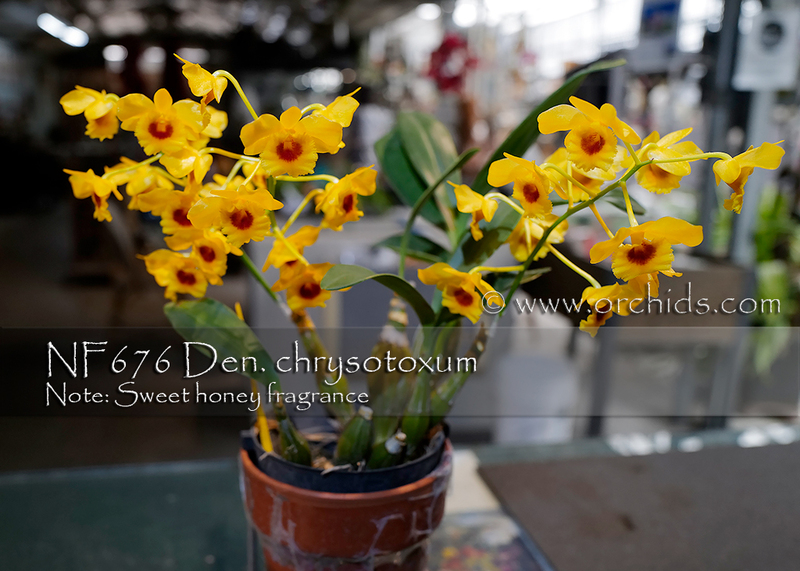 Dendrobium chrysotoxum is a charming compact species. The blooms are canary yellow in color with an orange throat, approximately 1" accross on a spike 12-18" long. The plant is everygreen. While it does not need a strick rest period, it does like to be keep on the dry side in the winter months. Light should be very bright and indirect. The blooms are faintly sweet, appearing in the early spring, last for weeks. This is a good subject for mounting on tree truck or branches in sub-tropical region of America. While supply last. First come first serve.